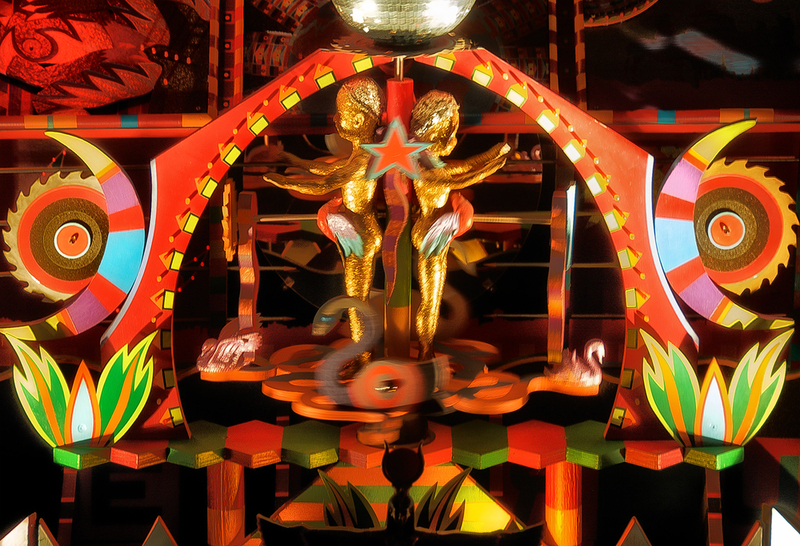 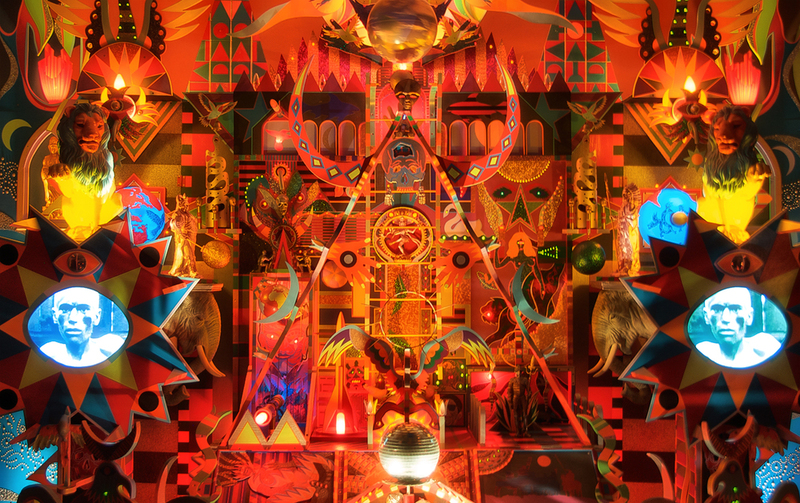 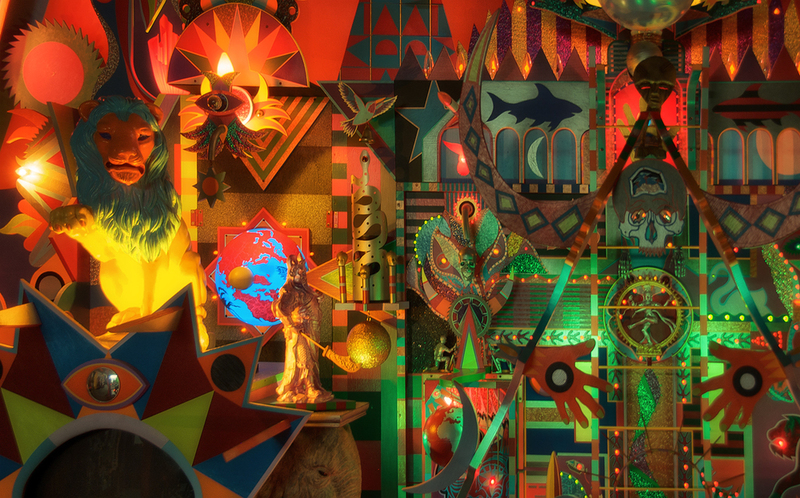 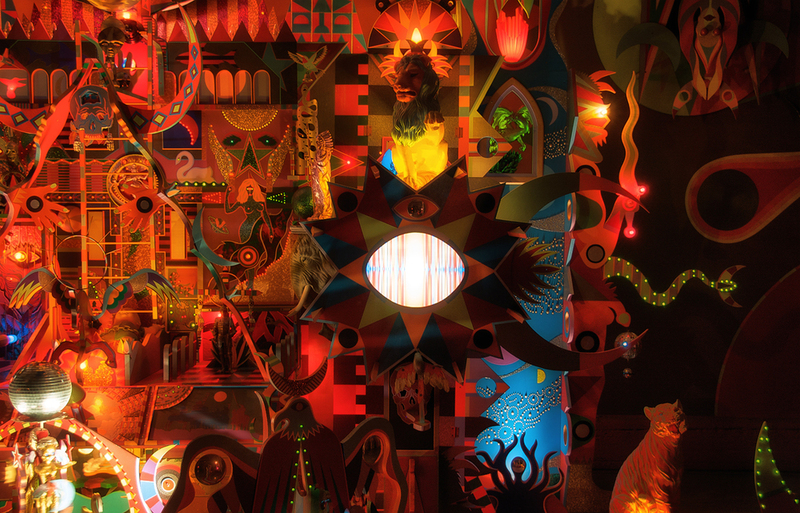 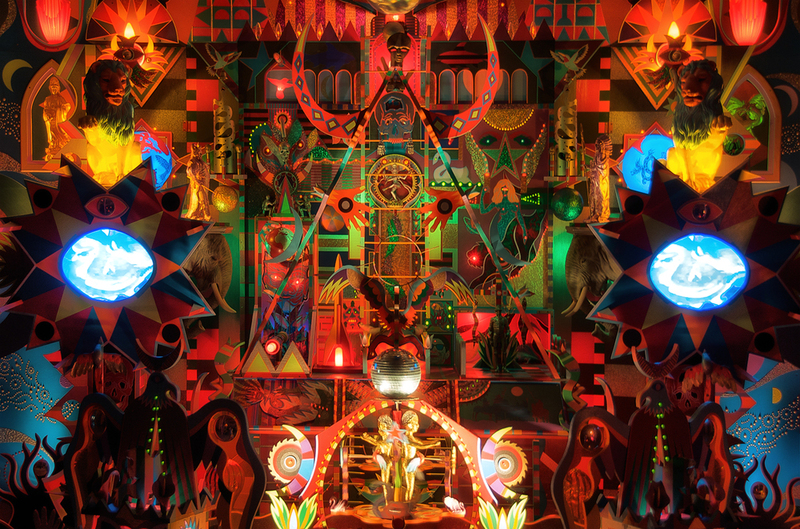 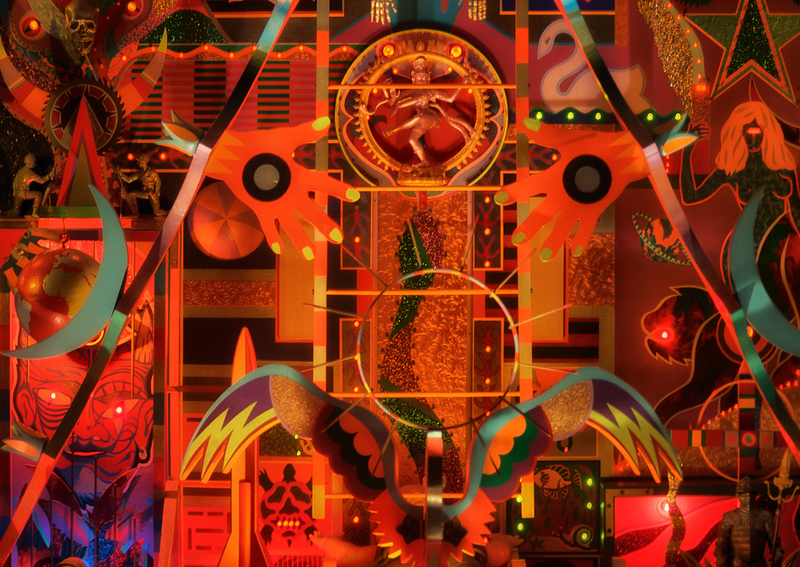 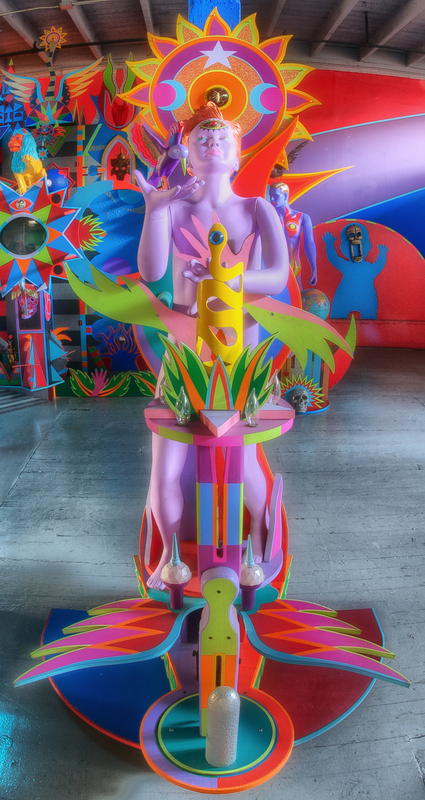 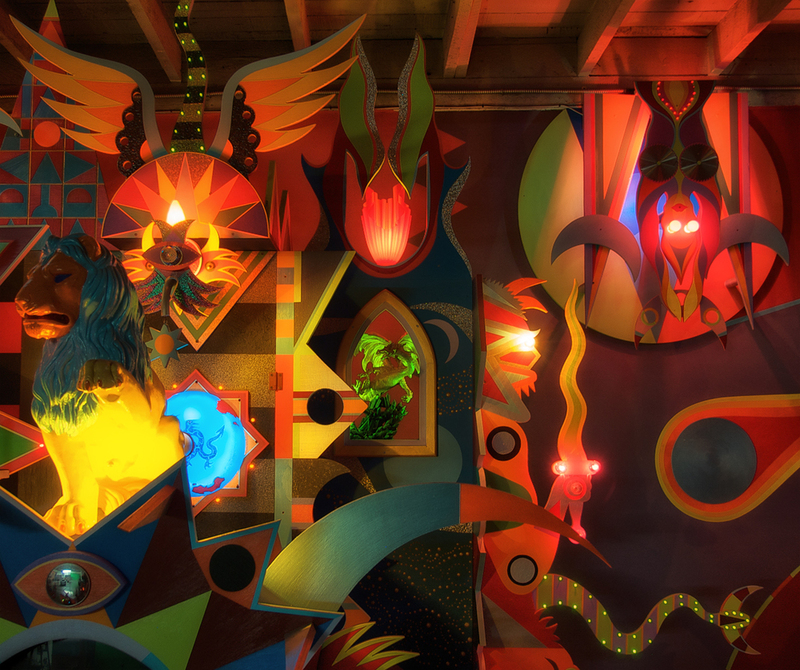 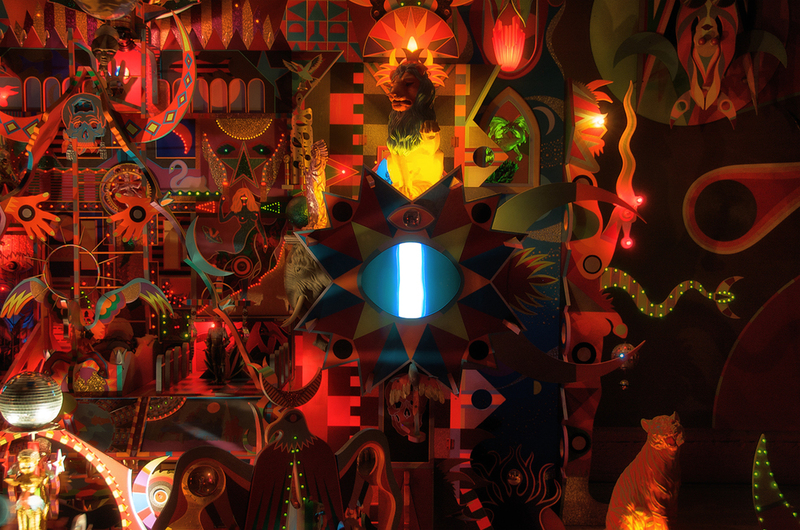 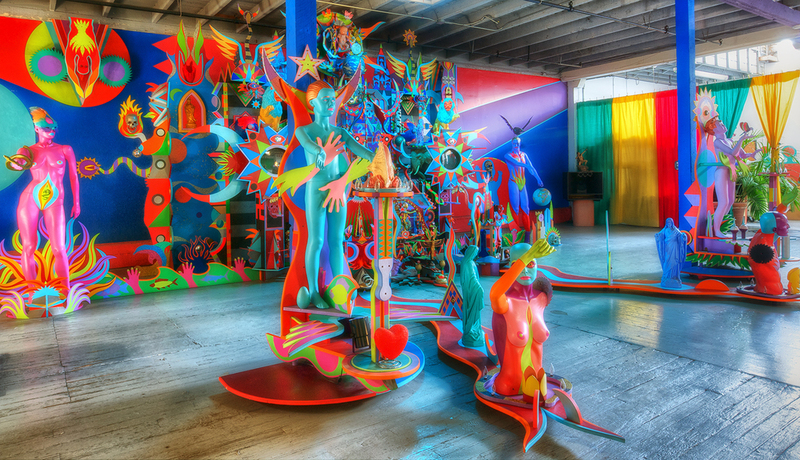 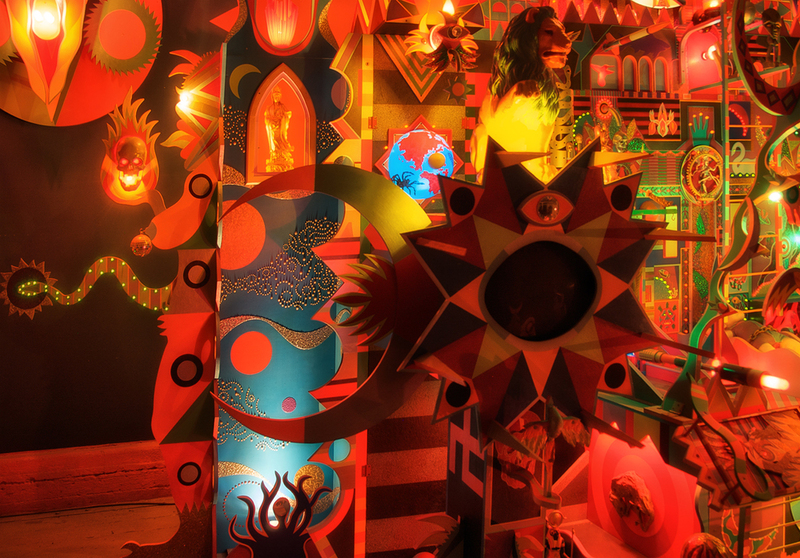 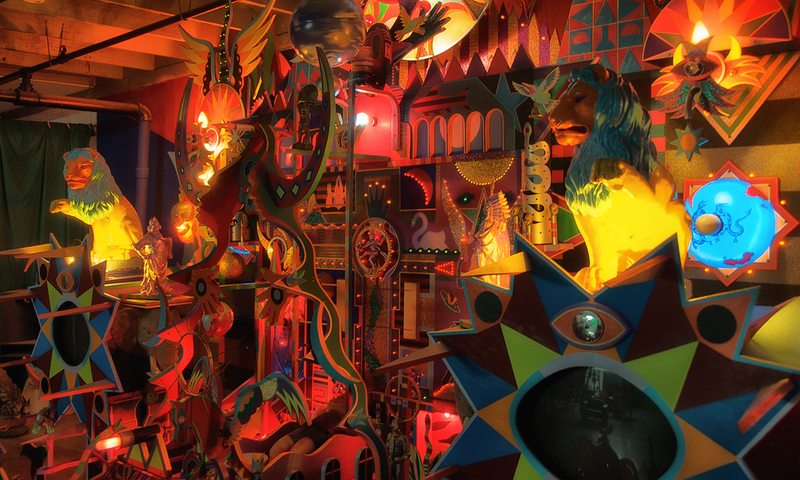 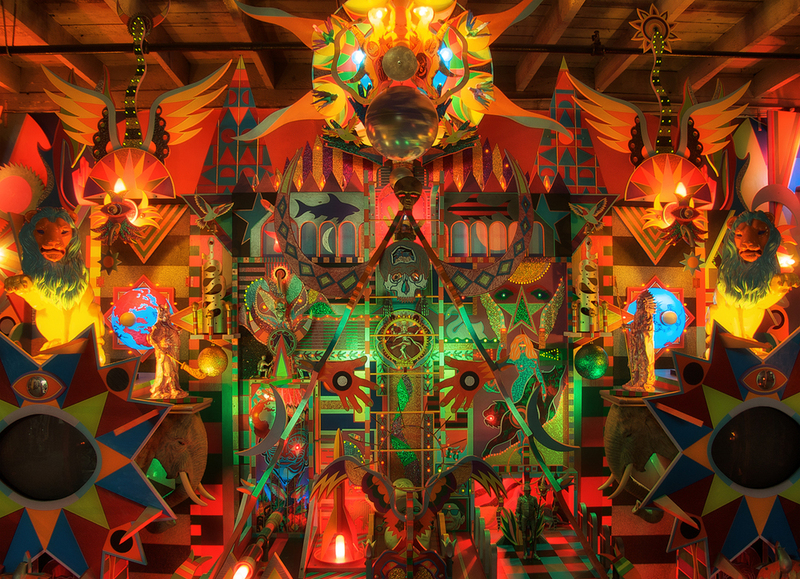 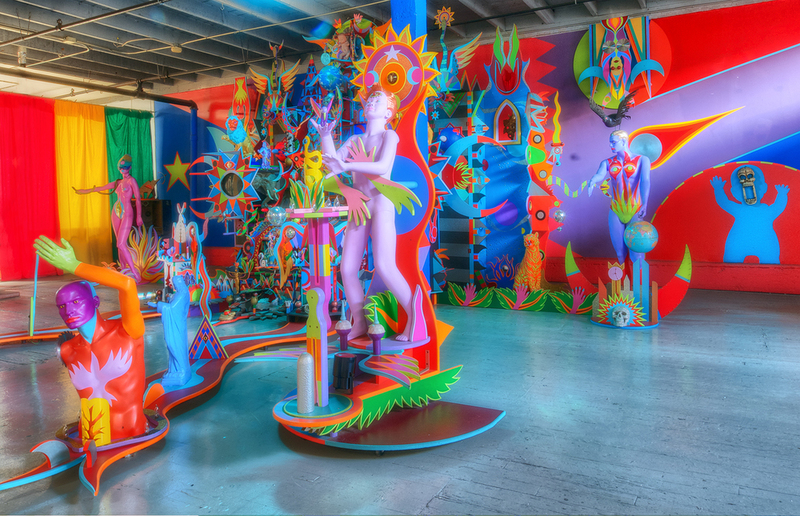 War Child is a 14' High X 40' Wide X 26' Deep Sculptural Installation in the form of a Magically Elaborate Altar. 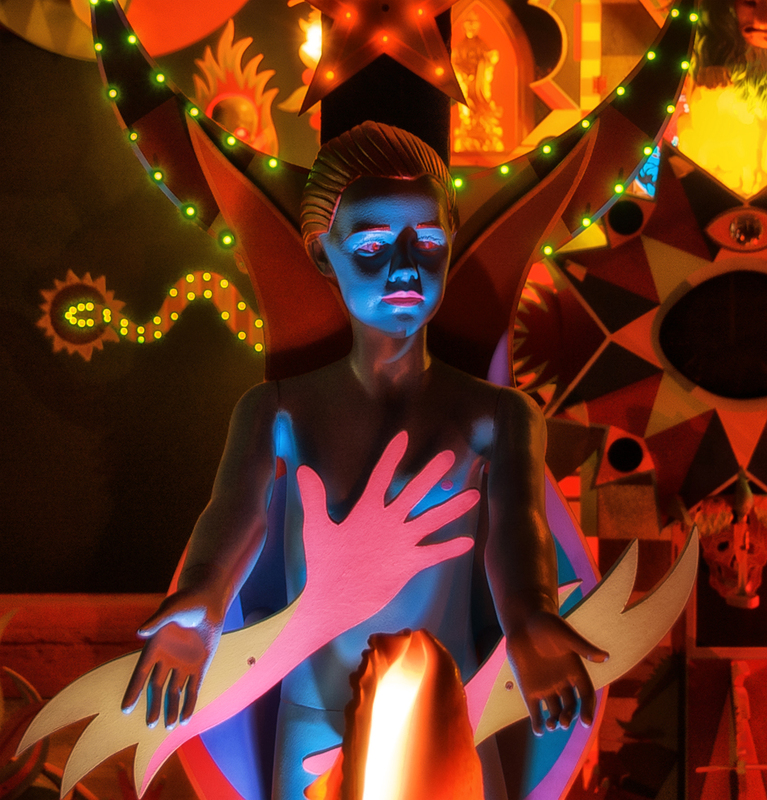 It forms the centerpiece of a 40 minute long Video, Sound, and Light Show Performance. 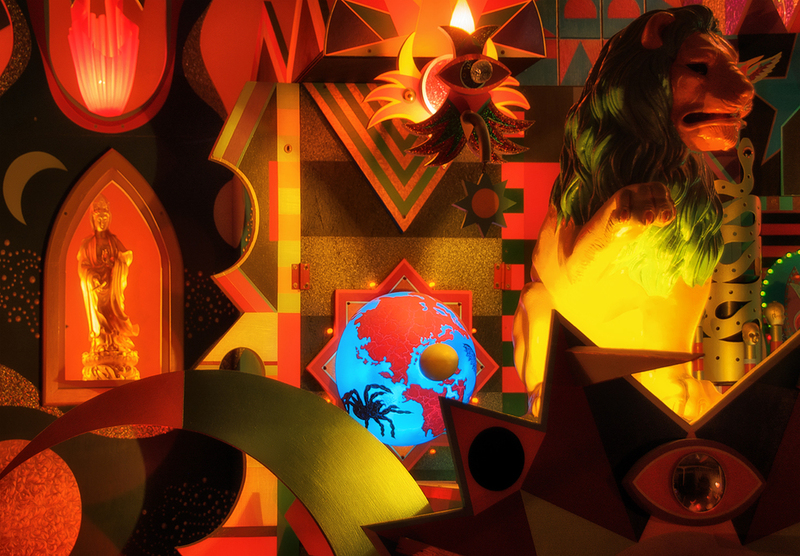 The video juxtaposes Manipulated Images of Nature and Civilization, Creation and Destruction. 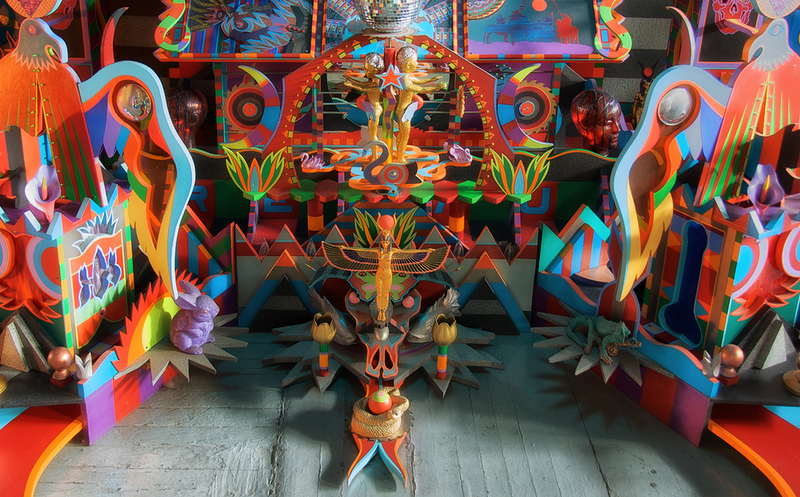 War Child's constructed 3 Dimensional and Technological Wizardry serves to entice the audience on a Journey confronting the Paradigm of Duality that shapes Human Existence. 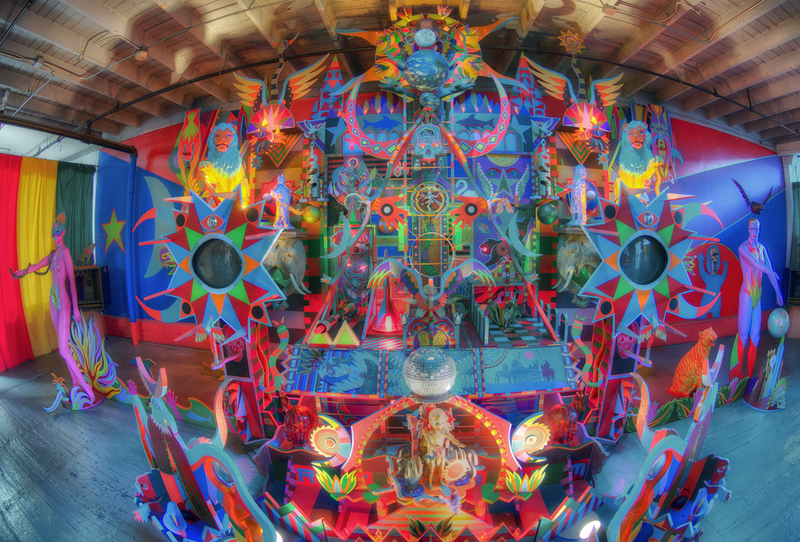 Through a Synthesis of Multiple Technical Systems, War Child becomes a Living, Breathing, Organic Entity. 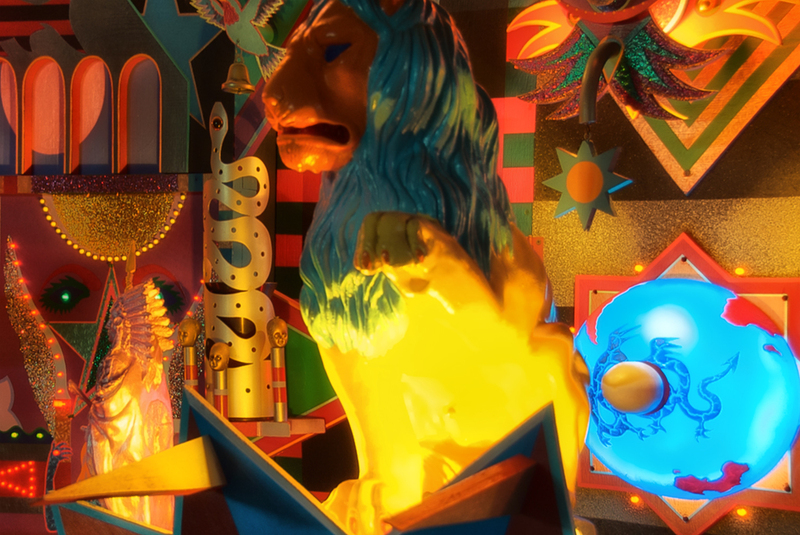 It comes Alive. 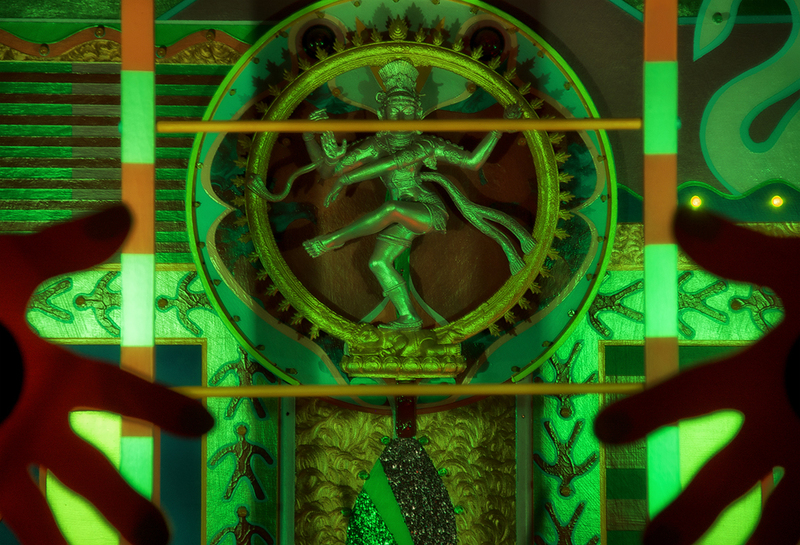 All of the Technology is embedded into the Structure, and fully integrated into the Performance. 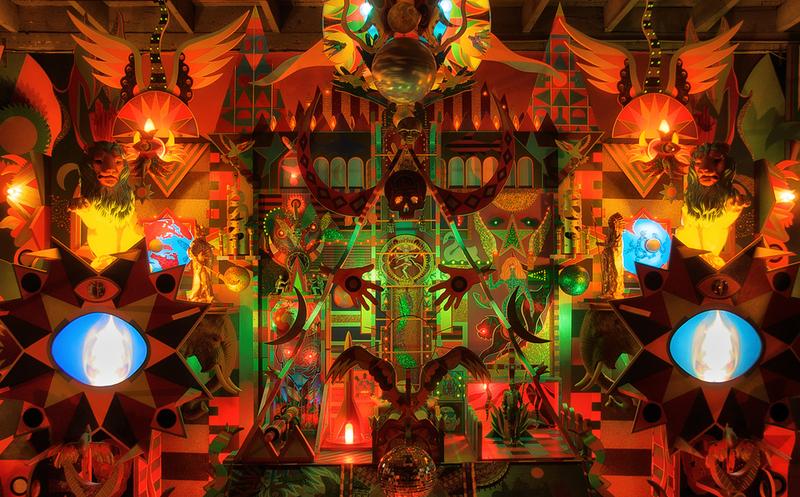 The Living Installation impacts Space, Sound, Sight, and Memory through the Highly Theatrical Presentation. 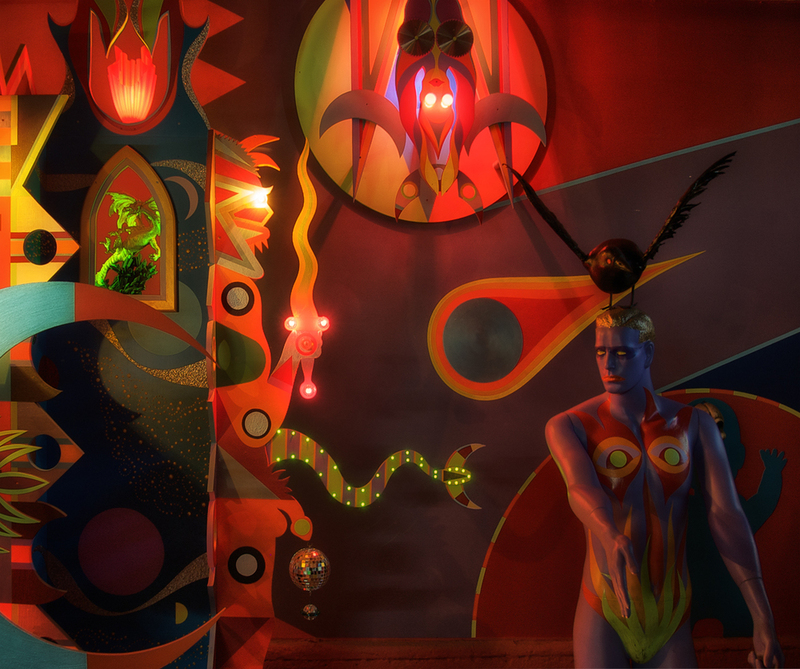 The relationship between the Video Narrative, the Constantly Changing Lighting Systems, and the Shifting Psychological Environment Envelops the Audience in a Completely Immersive Experience.